Lavishly appointed - 180 degree views, perched just above the ocean with expansive views as far as the central coast and beyond. Fabulous holiday house with no expense spared. 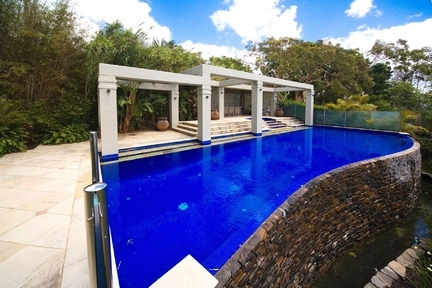 Stunning pool and cabana area exudes a very Mediterranean flavour with sandstone surround.